Write a C program to control the direction & speed of rotation of a stepper motor through the GPIO on Raspberry Pi. In my view, no matter using Pi to control webcam, or using Pi to light LED, the Raspberry Pi was in a "virtual" world all the time because it didn't output any movement to the real world. Having this ability may be very important to build a slightly more complex system, so I decided to use Pi to control a stepper motor. How to control a stepper motor through the GPIO on Pi? Lots of people have tried that before. 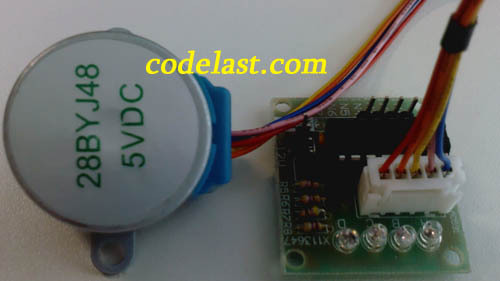 Because we need a driver circuit board to drive the stepper motor, and it's really easy to buy this kind of product with super low price nowadays, so it's no need to make it ourselves. I searched taobao.com(the largest e-commerce website in China) and found a super cheap stepper motor & it's matched driver board, they cost me only about 8 RMB, that is, less than $1.5! After checking the code(for MCS51 singlechip) provided by the product dealer I knew that it's possible to drive the motor by set IN1~IN4 high level in turn, namely set the 4 GPIO pins high level in turn. For example, if we use 0 to represent low level and 1 to represent high level, then GPIO 17, 18, 21, 22 on Raspberry Pi will be set to 1,0,0,0 in the 1st round, 0,1,0,0 in the 2nd round, 0,0,1,0 in the 3rd round and 0,0,0,1 in the 4th round. * A program to control a stepper motor through the GPIO on Raspberry Pi. /* Suspend execution for x milliseconds intervals. *	@param ms Milliseconds to sleep. *	@param pins			A pointer which points to the pins number array. *  @param direction	CLOCKWISE for clockwise rotation, COUNTER_CLOCKWISE for counter clockwise rotation. 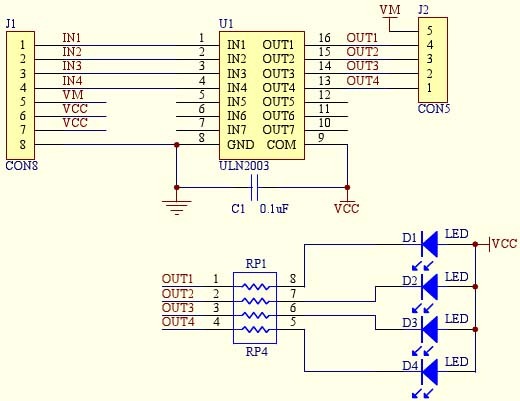 The four arguments passed to the program are the GPIO pin numbers on Pi. 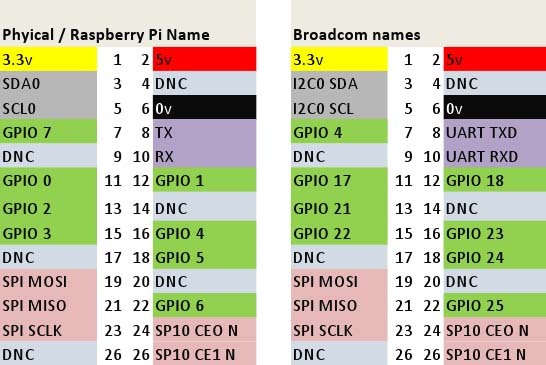 Be sure to keep in mind that because of using WiringPi, we need to refer to the left part of the GPIO pinouts image describe above to identify the numbers. Then we'll see the stepper motor start to rotate shown as this Youtube video. If you find that the direction of rotation is wrong, just adjust the order of the arguments passed to the program and it will be able to make the direction right. 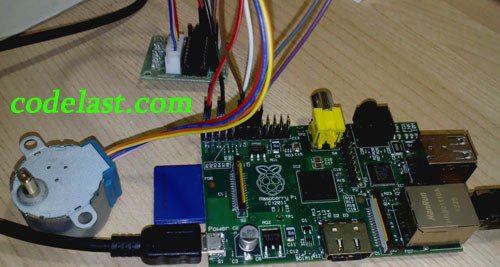 * A program to control a stepper motor(speed up) through the GPIO on Raspberry Pi. *	@param delay		The time intervals(in ms) to delay, and if the value is smaller, the motor rotates faster.